The three-person firm that apparently certified Madoff's books has been telling a key accounting industry group for years that it doesn't conduct audits. (Fortune) -- The three-person auditing firm that apparently certified the books of Bernard Madoff Investment Securities, the shuttered home of an alleged multibillion-dollar Ponzi scheme, is drawing new scrutiny. Already under investigation by local prosecutors for its potential role in the scandal, the firm, Friehling & Horowitz, is now also being investigated by the American Institute of Certified Public Accountants, the prestigious body that sets U.S. auditing standards for private companies. The problem: The auditing firm has been telling the AICPA for 15 years that it doesn't conduct audits. Some 33,000 firms enroll in the AICPA's peer review program, in which experienced auditors assess each firm's audit quality every year. Forty-four states require accountants to undergo reviews to maintain their licenses to practice. Friehling & Horowitz is enrolled in the program but hasn't submitted to a review since 1993, says AICPA spokesman Bill Roberts. That's because the firm has been informing the AICPA -- every year, in writing -- for 15 years that it doesn't perform audits. 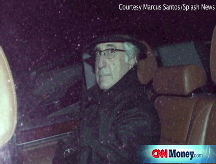 Meanwhile, Friehling & Horowitz has reportedly done just that for Madoff. For example, the firm's name and signature appears on the "statement of financial condition" for Madoff Securities dated Oct. 31, 2006. "The plain fact is that this group hasn't submitted for peer review and appears to have done an audit," Roberts says. AICPA has now launched an "ethics investigation," he says. As it happens, New York is one of only six states that does not require accounting firms to be peer-reviewed. But on the heels of the Madoff revelations, on Tuesday, the New York State senate passed legislation that requires such a process. (The bill now awaits Gov. David Paterson's signature.) "We've not been regulated in the fashion we should've inside the state," says David Moynihan, president-elect of the New York State Society of Certified Public Accountants. David Friehling, the only active accountant at Friehling & Horowitz, according to the AICPA, might seem like an odd person to flout the institute's rules. He has been active in affiliated groups: Friehling is the immediate past president of the Rockland County chapter of the New York State Society of Certified Public Accountants and sits on the chapter's executive board. Friehling, who didn't return calls seeking comment, is rarely seen at his office, according to press reports. The 49-year-old, whose firm is based 30 miles north of Manhattan in New City, N.Y., operates out of a 13-by-18-foot office in a small plaza. A woman who works nearby told Bloomberg News that a man who dresses casually and drives a Lexus appears periodically at Friehling & Horowitz's office for about 10 to 15 minutes at a stretch and then leaves. (State automobile records indicate that Friehling owns a Lexus RX.) The Rockland County District Attorney's Office has opened an investigation to see if the firm committed any state crimes. People who know Friehling, through the state accounting chapter and through the Jewish Community Center in Rockland County (where he's a board member) were reluctant to discuss him. 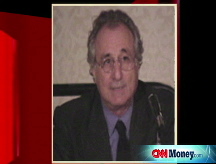 Most members of both boards wouldn't comment except to say they were surprised by Friehling's connection to Madoff. "He's nothing but the nicest guy in the world," says David Kirschtel, chief executive of JCC Rockland. "I've never had any negative dealings with him."